IMO is a great video and voice calling service. It is loved by millions of users worldwide. Unfortunately, IMO is blocked in Dubai UAE, Oman, Saudi Arabia and other countries. However, you can easily unblock IMO with safe and secure service like Aeroshield. Try it for free today! Now IMO works both on Android and iOS platforms. This is a great messenger for video calls and sending messages from any kind of mobile devices. How to Unblock IMO in UAE? IMO is restricted in the United Arab Emirates (Dubai, Abu Dhabi), Saudi Arabia, Oman, Qatar and other Gulf countries but it is available in other parts of the world. For example, when you go to Europe or USA you can use IMO without any limits. What if you can move to another country virtually and avoid UAE internet restrictions. You can say this is impossible. But actually, it can be easily done with the help of new Internet technologies. All you need is simple mask your IP address and that is all. This is safe, easy and fast and you can try this today! The most reliable and secure method to change your IP address is using a service like Aeroshield. This is not a simple VPN used by many Internet users. This is an absolutely new type of invisible and secure network connection. It makes you 100% safe and secure. Aeroshield masks your IP address. You get an IP address from any country, such as USA, Canada, Europe and other places where there is no censorship. Once you get another IP – you can use IMO! 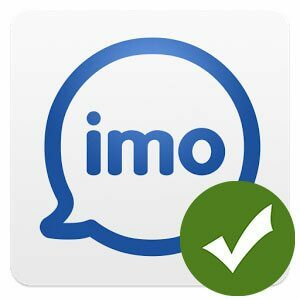 Enjoy IMO calls in UAE and others counties.